OEM stands for Original Equipment Manufacturer. We partner and work directly with OEMs to assist in their process of manufacturing a product of products, so that they can then sell to an end user. What we do for OEMs is design and build equipment for their products, sometimes we will modify or add to an item or machine will, and sometimes we will completely build it. The product is manufactured under the OEM’s brand and shipped to their customer. So OEM is by definition repetitive manufacturing. Bent River works with OEM companies of various sizes on multiple types of projects. Each project has its own unique ‘story’ and will be handled to create the best outcome and production for the specific project. We specialize in providing experienced and reliable OEM work for those companies which strive for consistency and quality. Bent River Machine manages OEM relationships differently than many of our competitors as we consider ourselves part of your, our costumer’s, processes. We are, in reality, an extension to you manufacturing procedure. We become your engineering department. We become your assembly and test department. And we have to adopt the processes that, you are comfortable with, not what our processes are. As an extension of your processes; we devote a lot of time working with you, to review designs, test plans, and make the correct decisions about the manufacturing process in order to ensure that the product will meet your expectations. We believe this creates a very close relationship, and can be very effective. We would love to have you speak with some of our OEM customers. Unfortunately, our work for OEM companies is confidential and not available for public scrutiny. Our customer’s and their products are of highest confidentiality and cannot be divulged under any circumstances. We pride ourselves in always respecting and complying with our costumers needs for confidentiality. In order to fulfill your needs we must understand the end user application of the equipment, as well as the requirements and restrictions for the equipment, so that we can build a system which will support what you wish to accomplish, this will allow us to design and manufacture a product that is tailored to your specific needs. Most OEM companies that we’ve worked with require us to ship our piece of their product to them and then they will load their software or their application or do something to it and ship it to the end user. We have had relationships with customers where we actually finish the product and it leaves our site and goes directly to the OEM Company’s customer. We are comfortable with ether way and are happy to adapt to the specific costumers needs. We do require planning for an aggressive test protocol, so that we are absolutely confident that the product we ship is functioning in the manner expected and required. We’ve discovered there are two different companies that seem are a good fit for an OEM relationship, and they’re on both ends of the spectrum. One is a smaller company that’s has a core competency and a machine, but lacks proficiency in hardware. They usually have limited or no engineering department and they have limited knowledge of the most up-to-date hardware options, or how to best get their process mechanically operating. The other customer that is ideal for an OEM relationship is a large company that has a lot of processes and paper requirements which slows down their ability to develop new product to sell. These companies have proved to be great partners for Bent River Machine because we can respond more quickly and we don’t have the layers and layers of procedures and divisions. Bent River’s size and ISO Registration allows us to design a product nimbly and quickly which is more tailored to a customer’s needs then they could manufacture themselves in a limited period of time. The end result is having a product that responds to a changing market more rapidly and with extra resources so that the OEM company can focus on their particular competency or other new technology development. Bent-River is presently very involved with many companies in an OEM relationship in the semi-conductor industry, both front end and back end. We have also worked with the food industry, general commercial businesses, medical, bio-engineering and the solar industry. 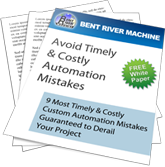 Bent River Machine has a comprehensive group of designers, technicians and engineers that support any project that comes through our doors. 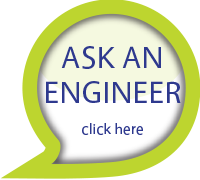 We are willing to discuss just about any OEM project that you may have.